Delight lovers of all things beautiful. Picturing the stars and constellations in the sky above your special event at the exact time and place in the world future or past. Printed on 320 gram fine art paper the quality of the antique blue ink is like velvet. Handy if your gift needs to be ready super quick. 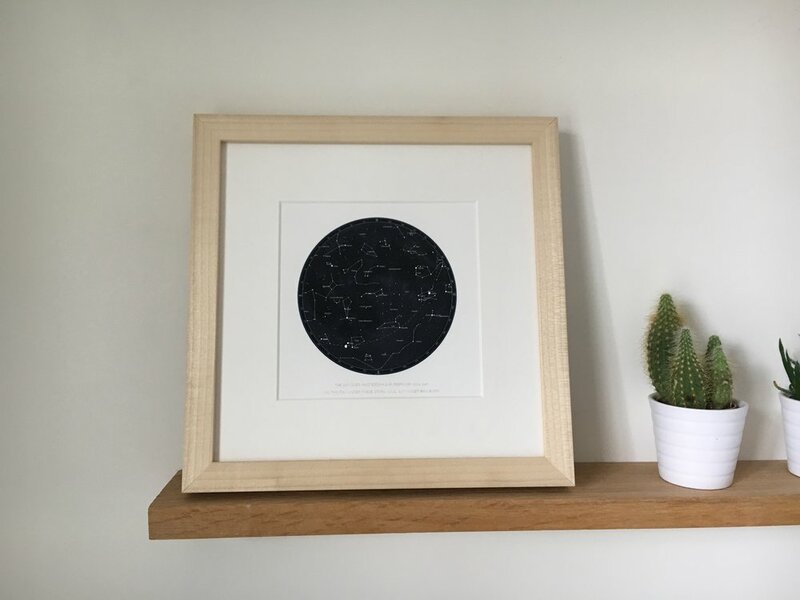 Once you order I'll send you a confirmation and get to work on finding your stars to handcraft your personal starmap, which will arrive by email within 24 hours or before. Give your loved one the pleasure of creating their own starmaps with a gift card, redeemable against prints, sets or digital maps.